Are you interested in beating cancer with nutrition? Mainstream medical practices for cancer treatment have been shown to be both dangerous and ineffective, lending further merit to the phrase “an ounce of prevention is worth a pound of cure”. While medical professionals are being educated in the field of medicinal treatment revolving around pharmaceuticals, many foods are repeatedly being recognized as powerful cancer-fighters and overall health-enhancers. Who would have thought that nutrition and eating habits could help to maintain your health? Showcasing just one of the countless ways you can begin beating cancer with nutrition, research has shown that turmeric can slow down the spread of breast cancer. Studies out of the University of California, San Diego, published in the British Journal, NATURE, have previously discovered a molecule known as RANKL. This molecule is found in aggressive breast cancer cells, which predict more life threatening disease. Aggressive cancer cells predict that the breast cancer will spread throughout the body, putting the body in a state of metatasis. Breast cancer patients often pass after cancer has metastasized to other body parts, ruining the functioning of vital organs such as the liver, lungs or brain. Interestingly enough, cancer drugs have been shown to ‘metasize’ tumors in some research. The findings suggest that if RANKL molecules were blocked, then early stages of breast cancer could be prevented, while advanced progression of the disease and metastasis could be halted. Curcumin has been found to possess properties that reduce the expression of these deadly molecules within cancer cells, and can potentially slow the spread of breast cancer. Of course this isn’t the only time turmeric and curcumin have been shown to battle and prevent cancer. Researchers at UCLA found that curcumin — a natural phenol and primary compound of turmeric — exhibits cancer-blocking properties powerful enough to block cancer growth. 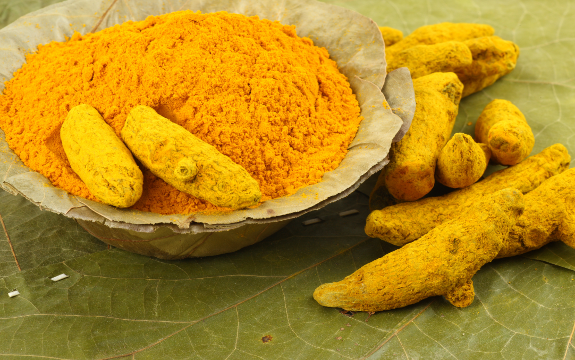 In addition, curcumin has previously been found to reduce tumors by 81% in more than 9 studies, which also gives credence to the natural anti-cancer health benefits of turmeric and curcumin intake. While many foods are powerful health enhancers, curcumin alone is known to positively impact over 560 diseases according to peer-reviewed research. Beating cancer with nutrition means to acquire the knowledge of how the foods people eat every day can be utilized to treat or prevent illness and disease. While the advancements humanity has made throughout history are great, mainstream medicine has been going down a dark road. It is time to shift from a pharmaceutical-dependent state to nutrition-based prevention and treatment. Interested in more, or not convinced that cancer can be beaten with natural foods? Take a look at these 4 cancer-fighting foods that have been shown to be powerful enemies of both deadly cancer and the profiting cancer industry.